I am writing to you with a very special request. As many of you know, my daughter, Hannah, was born ten weeks premature with hydrocephalus. This has resulted in cerebral palsy and blindness. 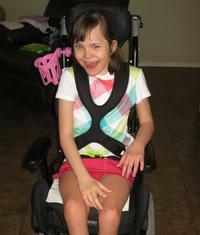 Her life is filled with many therapies in an attempt to maximize her potential for independence. Now there is new hope for Hannah. 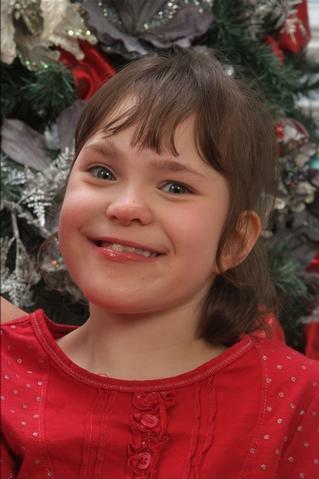 She has been accepted into a stem cell transplant program with Bieke Biotech in China. I have met another mom who has seen real improvements in her child after receiving this treatment. This transplant could change Hannah’s quality of life — it may be possible for her to gain vision and improve her muscle control. Stem cell transplantation is costly – and not covered by insurance. In addition to treatment, airfare, food and lodging during the forty-day stay abroad, the cost of maintaining a household for two other children back home will continue. I have only a few months to raise approximately $30,000. I am asking today for your help. To help with some of these uninsured expenses, a fundraising campaign in Hannah’s honor has been established with HelpHOPELive. HelpHOPELive is a nonprofit organization that has been assisting the transplant community for more than 28 years. All contributions are tax-deductible and are administered by HelpHOPELive for uninsured transplant-related expenses only. I know that economic times are challenging, so any amount will help and I hope you can contribute generously.Thank you so very much. Any help you can give will be greatly appreciated. If you are able to donate your time or talent to any fundraising activities that we will be planning, please contact me. Hannah and I appreciate your support. We want to wish you luck and will look forward to attending some fundraisers! I do not think that I can make to the other side of the valley for the dinners, but you can count on a donation for me. Wishing you luck!! Vanessa I will make a donation soon. Miss you , love to here about your girls. Go Hannah! Get it gurl!